How many days/hours in advance can i decorate the reception hall? 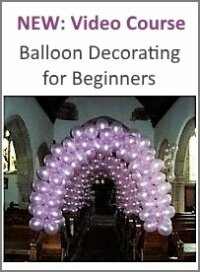 I will be purchasing balloon kits, to make columns, arches, and table center pieces. For some of these i will be using helium and for some just a hand pump. The Reception will start at 4pm on Saturday. Can I decorate the hall friday evening or should I do it Saturday morning? Comments for How many days/hours in advance can i decorate the reception hall? 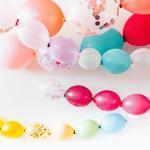 All helium balloons need to be done the day of the event. 11" latex balloons untreated with Hi Float will float well for about 12 hours, so back up the time the event ends. It is perfectly fine to do the air filled decorations (the ones you fill with your hand pump) on the day before the event. But the helium filled decorations should be made on Saturday morning, unless you treat the latex balloons with a substance called 'Hi-Float'. You can read more about floating times and how to extend them on our page about Hi-Float. Good luck with your decorations! p.s. 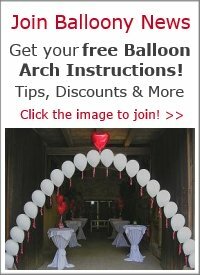 : Should you still need any materials or balloon kits, check out our Special Online Balloon Shop. 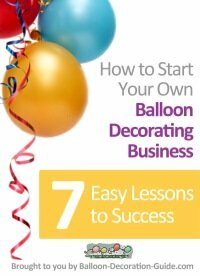 Especially the sections "Decorator's Tools & Materials' and 'Balloon Decoration Kits' could be of interest for you.